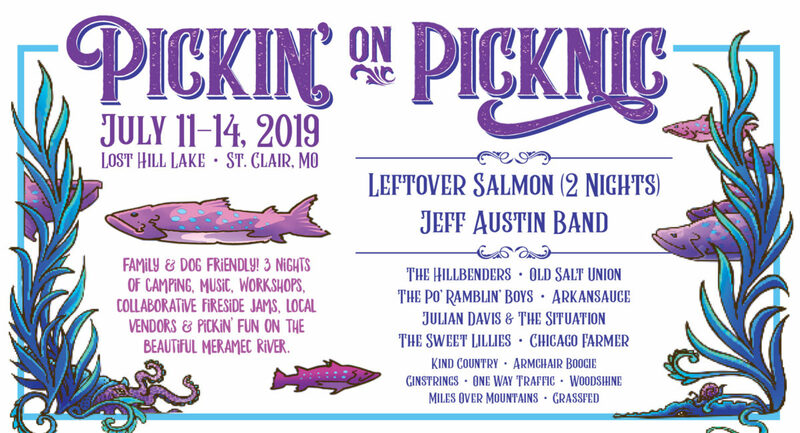 Pickin’ On Picknic 2019 is the 7th installment in the Pickin’ On Music Festivals Series. This event will include camping and music for 3 days, food and craft vendors, workshops, large late night bonfires with collaborative Pickin’ jams, and a Sunday morning river revival. Located in a 50-year-old walnut grove along the Meramec River in St. Clair Missouri, this beautiful venue boasts scenic bluffs, lakes and river access in the rolling hills of Missouri for all to enjoy. We are very excited to be bringing bluegrass legends to our area for what is sure to be the most epic Pickin’ On event yet! We can’t wait to bring you a weekend full of entertainment and memories at the beautiful Lost Hill Lake property in St. Clair, MO. Gates will open at 12 p.m. on July 11. All tickets are non-refundable, so please read our ticketing options and information thoroughly to ensure you are making the correct purchase. All general admission tickets include entry to the event at 12 p.m. on Thursday, July 11 to Sunday, July 14. Rain or shine event. No refunds. 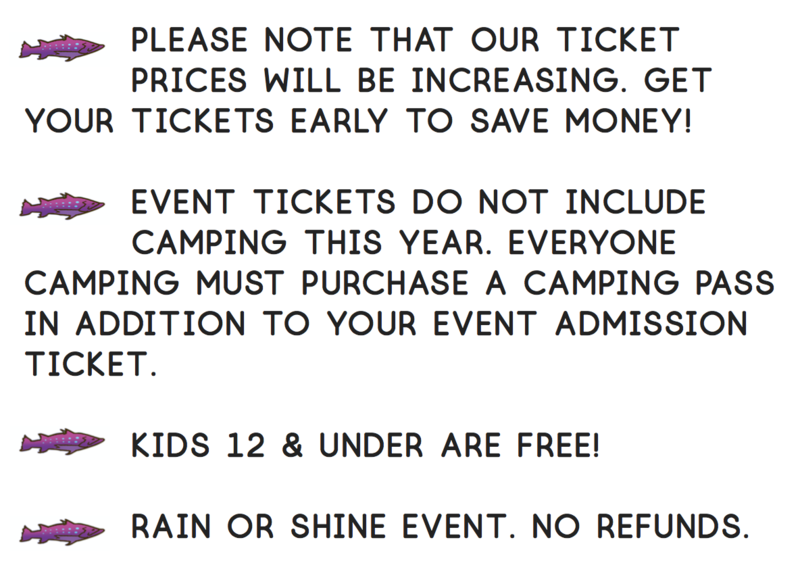 One camping pass per camper is required (this is per person, not per car/group.) Must be purchase in addition to your event ticket at $10/night. Camp next to car. First come, first serve. Kids 12 & under are free. Rain or shine event. No refunds. Single Day Passes: Coming Soon! All buses, towable trailers, campers and pop-ups require an R.V. pass. One R.V. pass good for access to the event Thursday through Sunday. No electric/water hookups. Generators allowed. Our VIP package is designed to give you an extra special experience at Pickin’ On Picknic! Our package includes shaded camping, a Picknic merchandise pack, air-conditioned restrooms and shower access, VIP lounge access, complimentary happy hours and more! We’ve also partnered with Backyards and Beyond to offer you an even more premium, stress-free camping experience! Click here for more information and costs. Only available at the gate. Stage Schedule – Coming Soon! Venue Map – Coming Soon!